After a great deal of planning, the traveling exhibition for Manifold Greatness is currently on view at the Sumter County Library in Sumter, SC. On Friday, July 13th, the Library presented an opening reception with remarks by Dr. Harry Singleton of Benedict College and Dr. Larry Watson of South Carolina State University. The two scholars led a discussion focusing on the religious and political aspects involved in the creation and afterlife of the King James Bible. Dozens attended the event, including State Representative David Weeks and Sumter Mayor Joe McElveen. The Friends of the Sumter County Library graciously provided the funds for a wonderful spread of refreshments. Dr. Larry Watson returned on Monday, July 16th to discuss Dr. Martin Luther King’s use of the King James Bible in his speeches and sermons, including the “I Have a Dream Speech” and his allusion to Amos 5:24 and Isaiah 40:4-5. (More on Dr. Martin Luther King and other examples of the King James Bible’ influence on contemporary culture can be seen on the Manifold Greatness website’s “Modern Life” timeline). During and after the discussion, Dr. Watson fielded numerous questions from an attentive audience. In addition to these events the Sumter County Library created a display of Family Bibles. These Bibles, which include a Greek New Testament Pocket Bible from 1822, were loaned courtesy of the Sumter County Museum. On left, a 1852 Bible printed in London by the G.E. Eyre Company. On the right, a Bible printed in 1963 by the South Carolina Tract Society. Both items on loan from the Sumter County Museum. Image courtesy of the Sumter County Library. 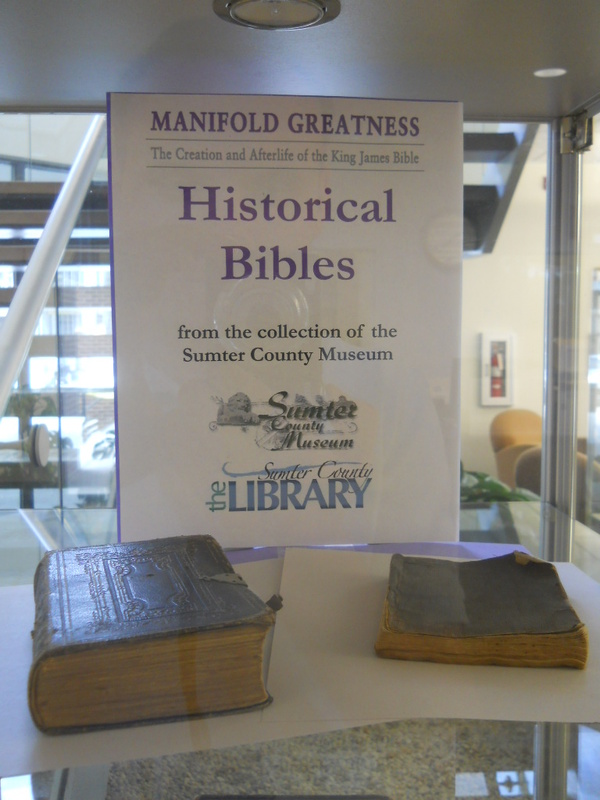 In addition to the both the Manifold Greatness exhibit and Family Bible display, the Sumter County Library will put on a variety of events until the Closing Reception on Thursday, August 9th. These events include lectures by Dr. Valinda Littlefield and Dr. Harry Singleton, a King James Bible Quiz Bowl, King James Choir concert and an “Expressions” Art Show. 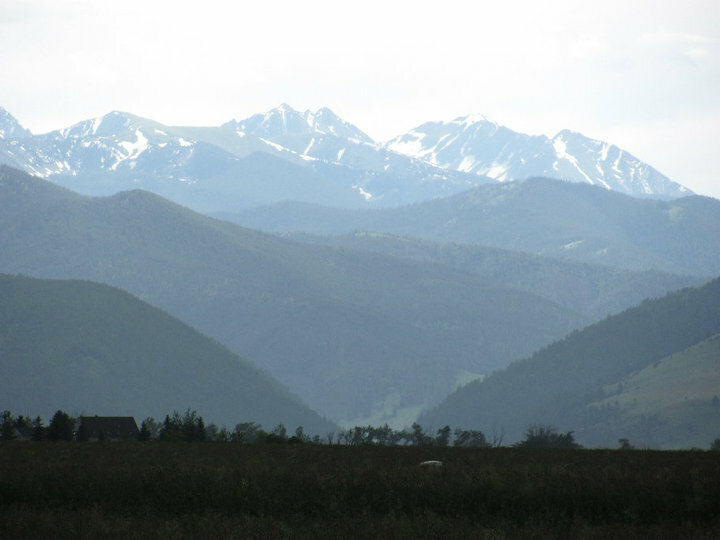 Gallatin Mountain Range outside of Bozeman, MT. Photo by Amy Arden. Two years ago, I was in the midst of developing content for the Manifold Greatness website. During that summer, I also embarked on a cross-country road trip that had been on my bucket list for years. I drove from Washington, DC, south to Texas, then north to Montana, and then all the way back. In the weeks leading up to my departure I spent hours thinking about what I would need and what should make the final cut for my packing list. I was traveling relatively light, my goal more in line with being a modern-day pioneer than with bringing along every comfort of home. I had camping gear, an ultra-light stove, a laptop and camera to record my experiences, and a few choice books. One of them was a copy of the King James Bible. 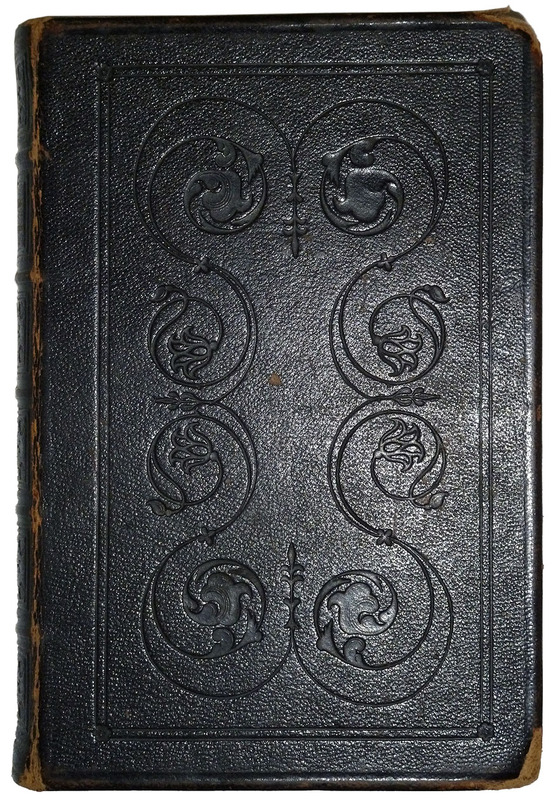 As an earlier post noted, many settlers carried family Bibles with them as they traveled westward. For my own personal journey, I wanted a book that reflected that period and the leaps of faith that traveling to a new destination required. Admittedly, I did not own a copy of the King James Bible before my trip. And I wasn’t looking for just any copy – I wanted one that had existed in the 1870s and 1880s, the heyday of the Western frontier. In order to find one, I visited antique book stores and browsed online. King James Bible. Glasgow, 1858. Private collection. Photo by Julie Ainsworth. With its tooled black leather binding and a perfect size for transporting, I was instantly convinced that I had found the right Bible. The little book piqued my curiosity as well. Who was Anne Pattison, and how had her book come to the United States? Had she herself moved to America? Was it passed along through a family member? Or was it merely another old book traveling between sellers’ inventories? Regardless of how it got here, having it with me seemed fitting. One evening at a campground in Oklahoma, as the families around me were settling in for the night, I took it out and read a passage. 140 years ago, had someone done the same? Holding that artifact in my hands, I felt uncannily connected to the past, and to my pioneer doppelganger, if she had existed. If you’d like to know more about my 2010 roadtrip, please visit my trip blog, the Outside Fringe, here.